Consistent and comfortable mouthpiece due to the lipped comb. Low pressure required to move the lower drawplate/coverplate. No need for grip pads on the coverplates. More bends! 7 draw will now bend (impossible on the Mk 1). Bigger extra bends! In addition to the new high draw bends and low blow bends, you also get huge high blow and low draw bends. These can all be bent to in-between notes for great expression. 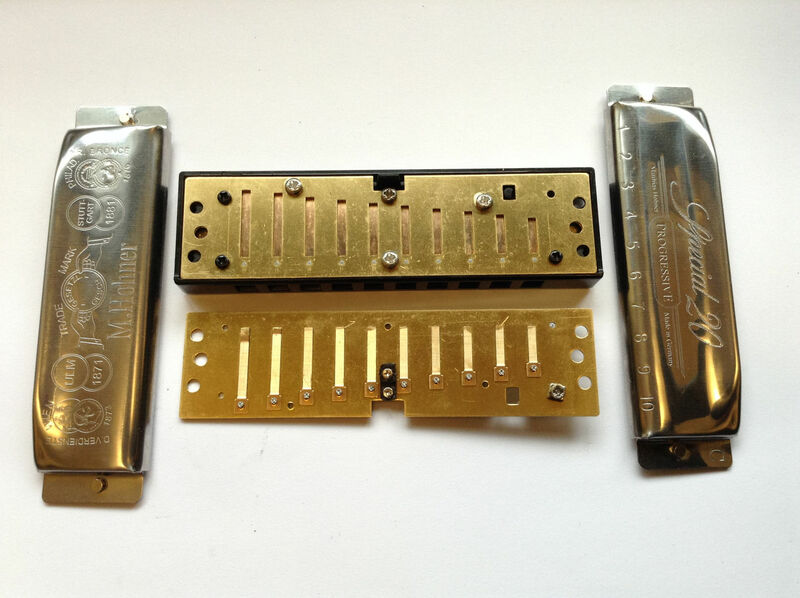 Top and bottom coverplates can be instantly removed to work on the reeds for fine tuning, gapping etc. To understand the basic concept behind the SlipSlider, go to the How it Works tab. To see/hear more useful examples showing the cool new bends, check out the videos relating to the Mk1 SlipSlider - all the main new bends are the same. 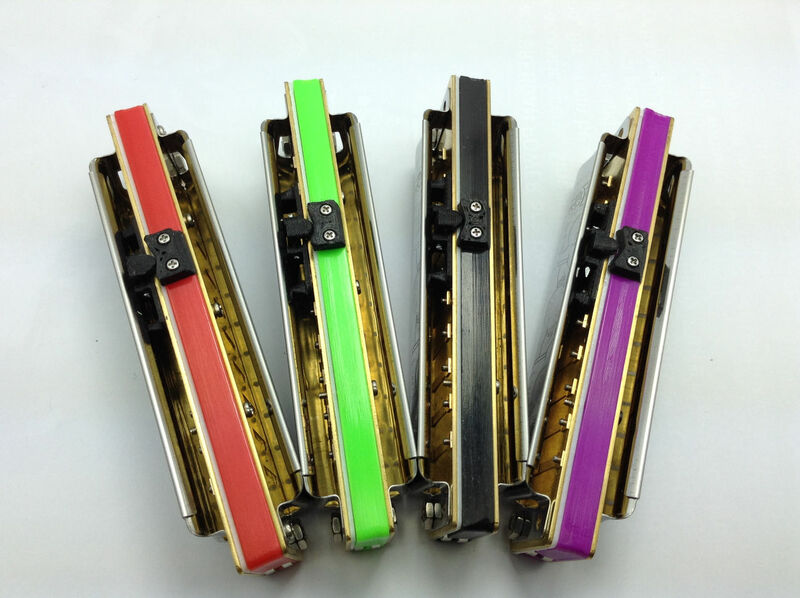 The SlipSlider Mk2 is currently made only in a Hohner Special 20 version. It comes fully assembled ready to play, and is available in all 12 keys. After your order comes in, we buy a new Special 20 in the key you've chosen and do the hand-work to turn it into a SlipSlider. It takes roughly a week between when you order and the harp is posted out - so please be patient! After the Mk1 SlipSlider came out, it generated a lot of discussion on my One of the regular contributors (known as Roverharp on the list) was Paul Bowering of Calgary, Canada. 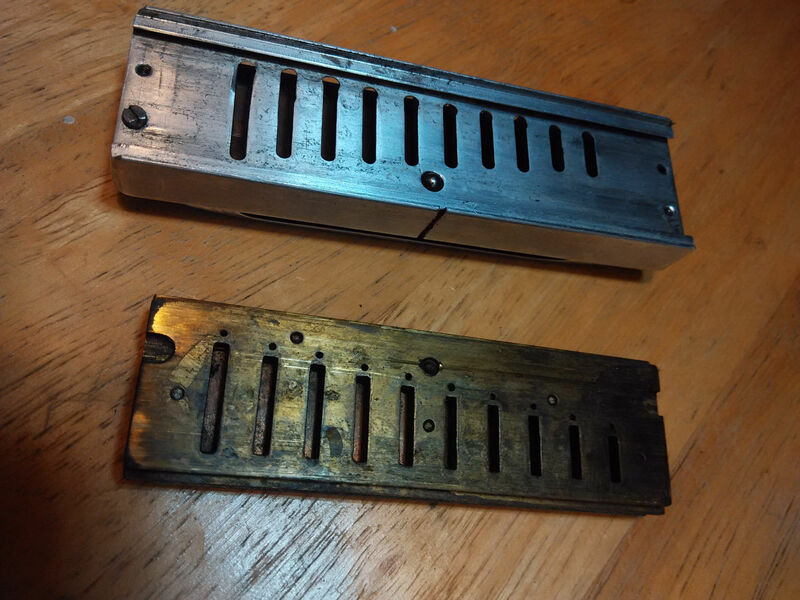 Inspired by my SlipSlider and photos of Zombor's original 2006 prototype, he mashed up both our ideas and made his own hack version using the classic Hohner Special 20 lipped-comb harp, and sent me some photos. Talking with Paul got me thinking of how to develop this popular harp into a user-friendly SlipSlider anyone could buy, and with his agreement I started messing around with various ideas to that end. 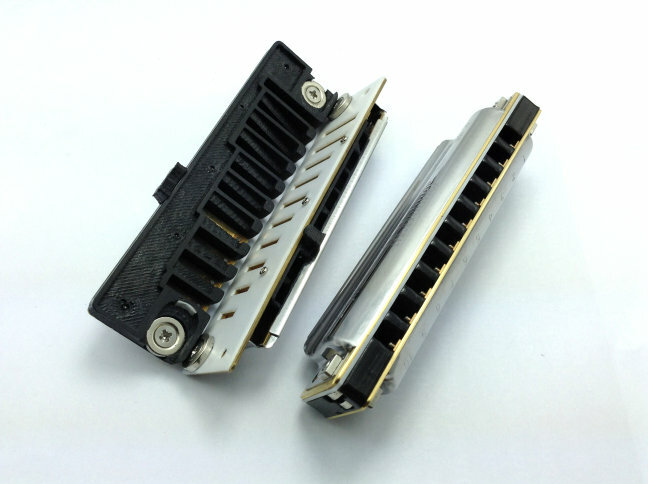 My work on simplifying/improving the adaptation sparked a new idea of how to combine magnetic and mechanical attachment for harmonica coverplates. 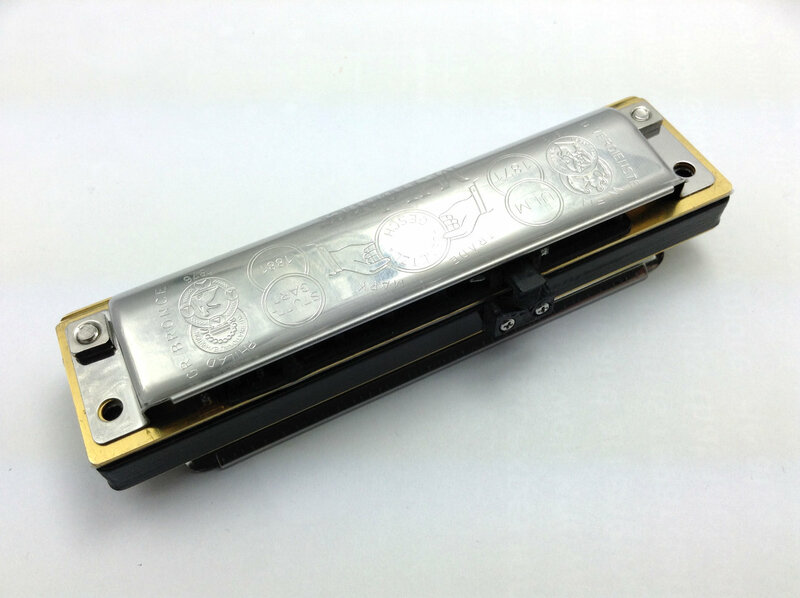 It applies to standard harmonicas as well as the SlipSlider, and I've taken out a provisional patent for it. Thanks to Paul for the inspiration! The stock Richter diatonic harp is a very expressive instrument, but it has some limitations. 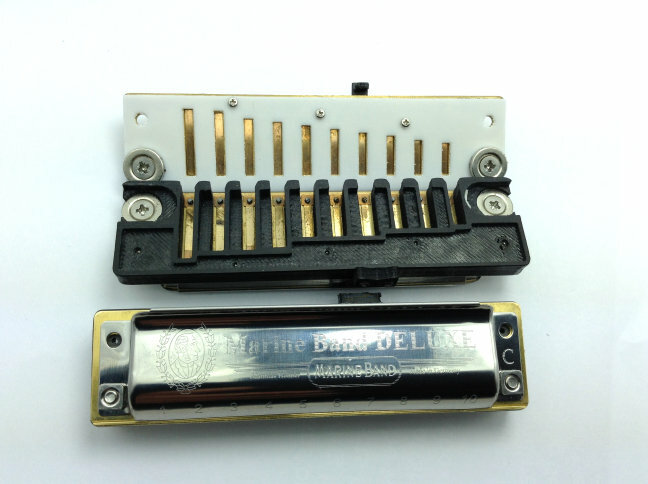 The main one is that only 8 of the 20 reeds can be bent in pitch: holes 1,2,3,4,6 draw, and 8,9,10 blow. That's because these are the only holes where the blow and draw notes are a tone or more apart, allowing for an interactive-reed bend between them. The high reed in each hole will bend, but the low one won't - because it doesn't have a lower-pitched reed to bend down to. But what if you could somehow move reeds around so that the non-bending reeds were in the same airstream as a lower reed, thus allowing them to bend? 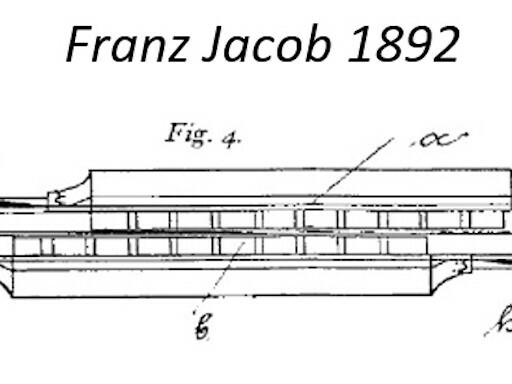 That's the concept behind the patent-pending SlipSlider harmonica. It's made in two separate parts: the blow reedplate and comb are fixed, while the draw reedplate can slide left and right. 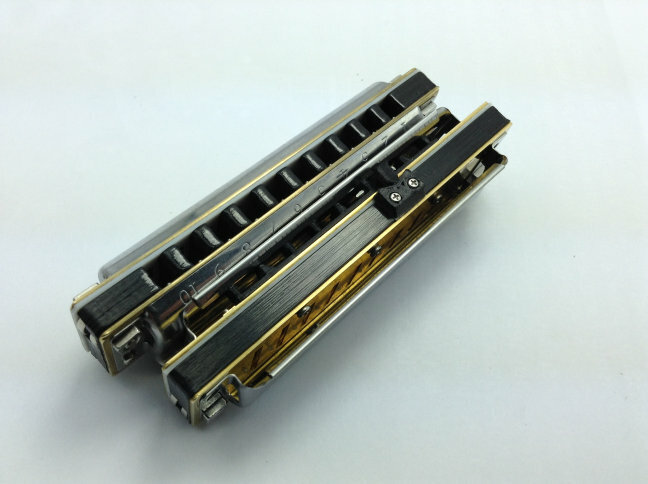 The two halves of the harp are held together with magnets, which hold them in the neutral position for normal play. But when you want the extra bend notes, you just slide the draw reedplate a few millimetres to left or right with a small adjustment of your grip. When you release your grip the drawplate snaps back to the standard home position. Slide to the right, and hey presto: you can bend the lower blow notes! 2, 5, 6 and 7 blow are suddenly juicily bendable. Slide to the left, and now you can bend your high draw notes! 7, 8 and 10 draw now bend like 3, 4 and 6 draw. In fact, you can play the top octave in exactly the same way as the middle octave. Just transfer your favourite middle-octave licks up there with identical bends and breathing patterns - so easy, and so expressive! Release your grip and the magnets snap the draw plate back to the middle position, for normal harp play with overblows and all the stuff you're used to. I released the first SlipSlider in April 2018. The Mk1 was a revolutionary harp that proved the principle and worked well - but it was very complicated to make with many bespoke parts, and therefore quite expensive. It's now been discontinued; I released the first SlipSlider in April 2018. 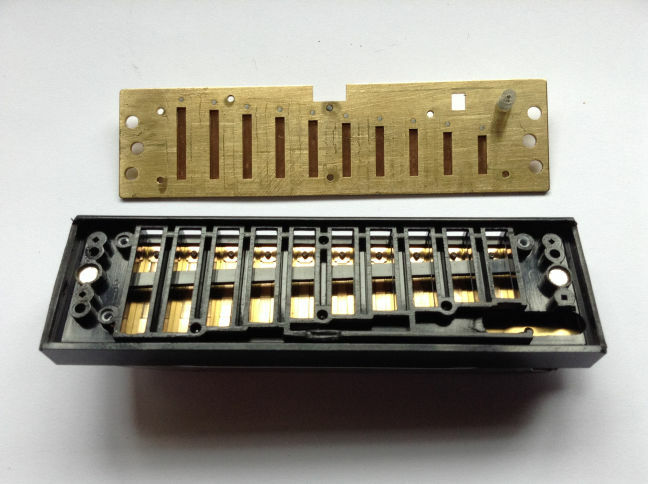 The Mk1 was a revolutionary harp that proved the principle and worked well - but it was very complicated to make with many bespoke parts, and therefore quite expensive. 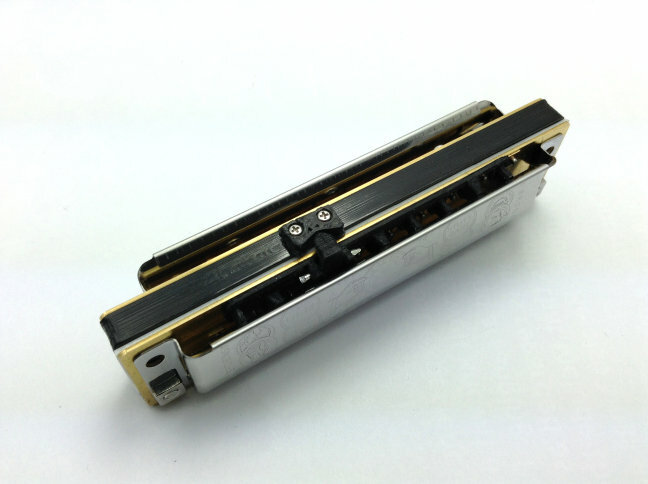 The Mk1 SlipSlider has now been discontinued - but if you have time check it out, it's an interesting harp! The current model is the Mk2, made from the Hohner Special 20. 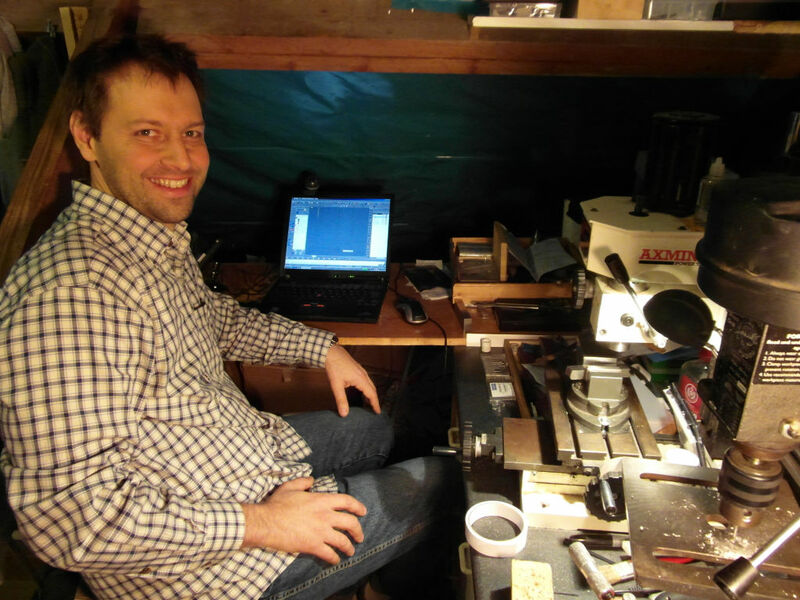 It's easier to play, simpler to make, plus has more bends and a lower price! In 2017, with Zombor's blessing, I decided to re-examine this idea and see if it could be improved. My Mk1 SlipSlider had many innovations, the main one being the use of magnets to hold and locate the parts together. My improved Mk2 SlipSlider retains the use of magnets, but is otherwise closer to Zombor's original concept. (I have taken out provisional patents for my technical innovations in the SlipSlider - but in recognition of his pioneering role in developing the concept for note bending, Zombor will receive a percentage of the profit from every SlipSlider sold).
" The slip slider is an amazing idea. THIS IS INCREDIBLE THANK YOU SOOOO MUCH FOR INVENTING THIS!!!!! 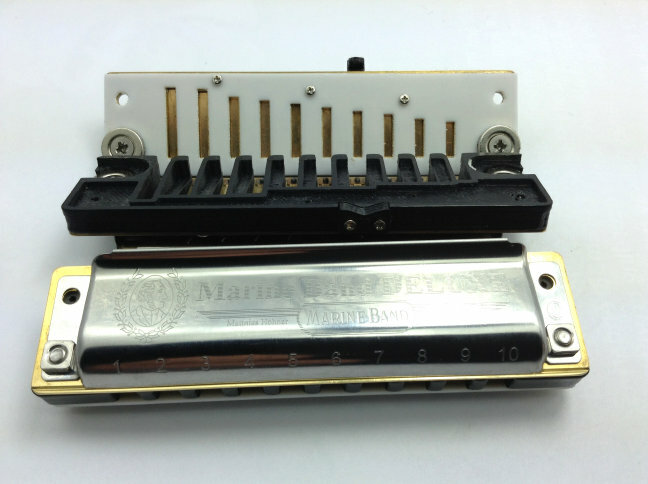 THIS COMPLETELY OPENED UP MY WORLD OF HARMONICA AFTER 25 YEARS!!! " " I'm in love with the Special 20 Slip Slider. It really does do everything, and in many instances eliminates the need to overblow or overdraw. I also found some interesting uses for the crazy draw bends. The best part is, it sounds and plays like a normal Richter harp, plus overbends, which is something no other specialty harp can claim as far as I know. Single reed blow bends may also be achieved by sliding partially, which comes in especially handy for bending 4 blow. 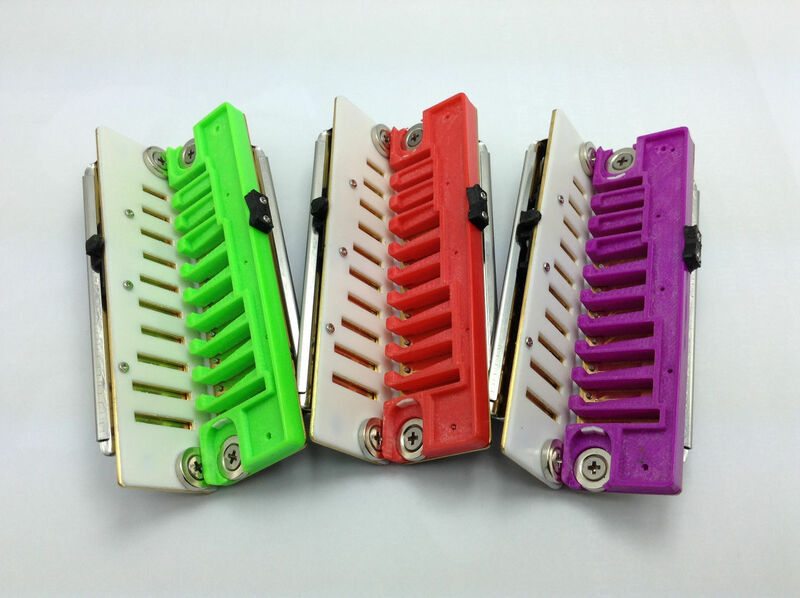 Its extra bendability makes this an ideal harp for rock tunes, allowing one to really wail on the 6 and 7 blow notes. 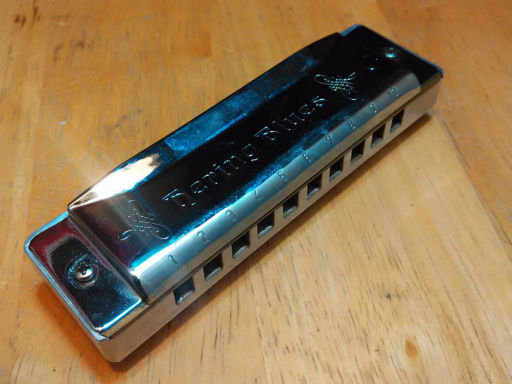 In the harmonica world, if folks realize the Slip Slider's capabilities, this could be the equivalent of what the invention of the electric guitar was to guitar players. It's that good! I still see a need for standard harps, and will definitely continue using overblows and overdraws for speed runs and licks, but I'm going to be incorporating more Slip Sliders into my playing, especially for melodies. I'm having lots of fun playing accompaniment now as well. The country players would be crazy not to use this harp on recording sessions. There are so many things that open up with the extra bends, and they sound very good and normal, if that makes sense. In other words, they have that same characteristic interactive bend sound one would expect from a draw bend. Overall, this is a killer harp and extremely friendly for melody playing. Finally, we have a harp that gives us everything we could possibly need, while not compromising the classic playability and sound of a standard harp which we all love. 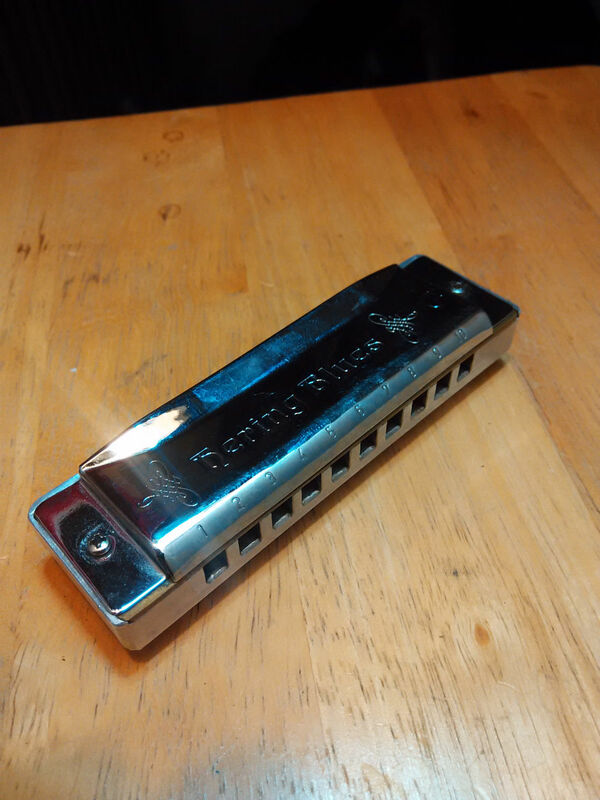 My family and friends keep saying, 'will you please put that harmonica away!' 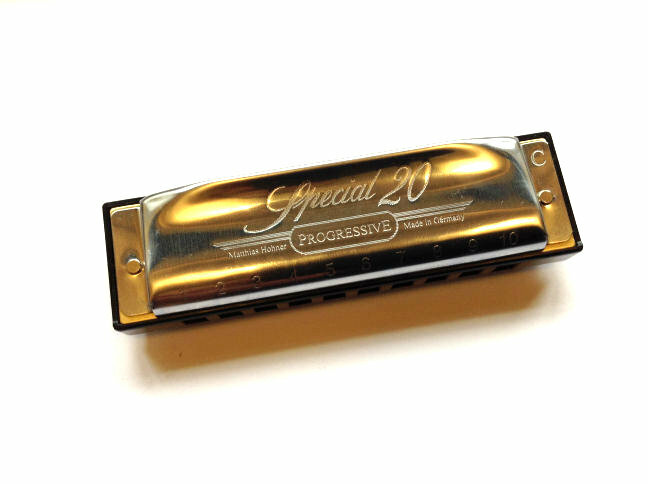 "
Check out Todd's brilliant playing on his CD "Songs From the Harp", and info on his popular harmonica workshops, session playing etc at his website.
" 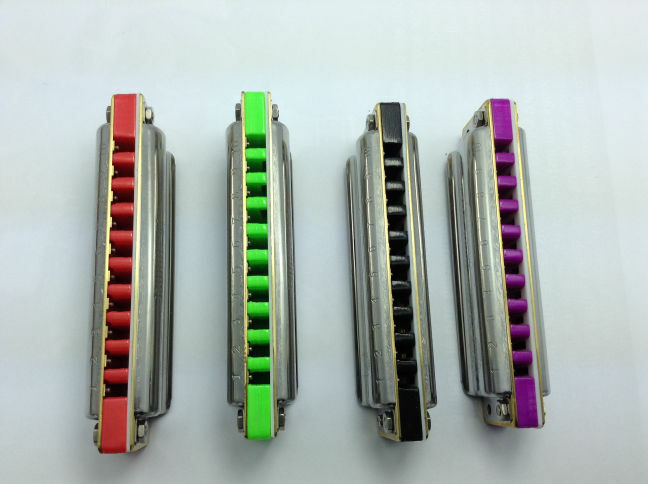 The S20 SlipSliders are just so much fun to play. I'm totally sold on the magnetic cover attachment, BTW. The S20 had a draw reeds that was gapped a little too closely for me, so I popped off the cover, lifted the reed with a fingernail and stuck the cover back on. The whole thing took just a few seconds. I've already started wondering how practical it would be to redo my main diatonics like this! Something else I noticed - with the draw reeds shifted to the left on the S20, what was the 5 overblow (now in hole 4) becomes much easier. Hardly an essential feature, but I suppose there might be a situation where one might prefer the overblow to the hole 6 blow bend. " 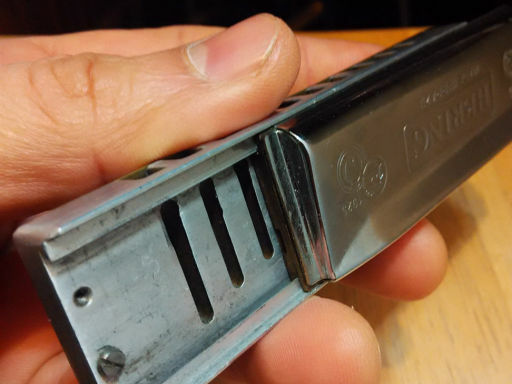 " The harmonica plays like a dream, I was a bit concerned about the air tightness when I first see the concept, but in action, I can overblow 456 and overdraw 789 out of the box, 10 is a bit squealing but I think that's just my technique. This is WAY better than the OOTB crossovers I've had in the past, so the air tightness is definitely not an issue. In terms of the notes, from my little experience with it, I can now play the b3 in the lower octave which I wasn't able to get with OB, and I can get the same juicy bending trill between the major 7 and root as the PowerBender running in the middle octave when playing 2nd, much stronger than using OB, and much more musical and tonally pleasant. It is totally a game changer for sure. " " I purchased a SlipSlider Crossover in G a bit ago and have been digging it... Took a bit of time to figure out a method to prevent slipping fingers but in the end I came up with a nice grip system using a few brass finishing washers and a spot of hot glue; it works well and looks great. ... I really appreciate your ingenuity! " 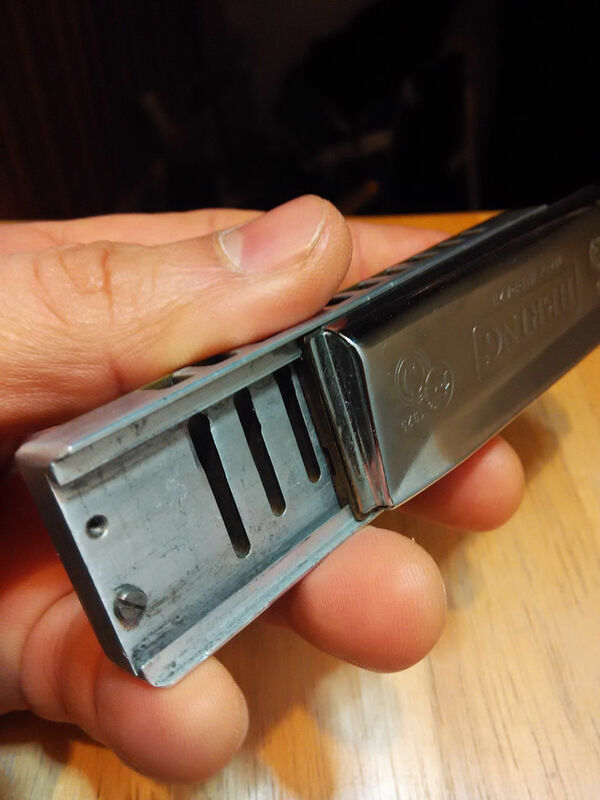 " I finally put my SlipSlider together. This is fun. I haven't done much with it yet, just noodled around, and haven't decided yet how I'm going to do the grip modifications, if any. With Thunderbird covers it does pretty well, maybe just a small dab or two of clear E6000 glue on each side will do the trick. In C having the blowbent Eb and Ab available is going to be nice. The ease of disassembly for cleaning and adjusting alone is a great plus. If it works as well in the Lucky 13 regular breath direction models my other harmonicas are going to get dusty. " 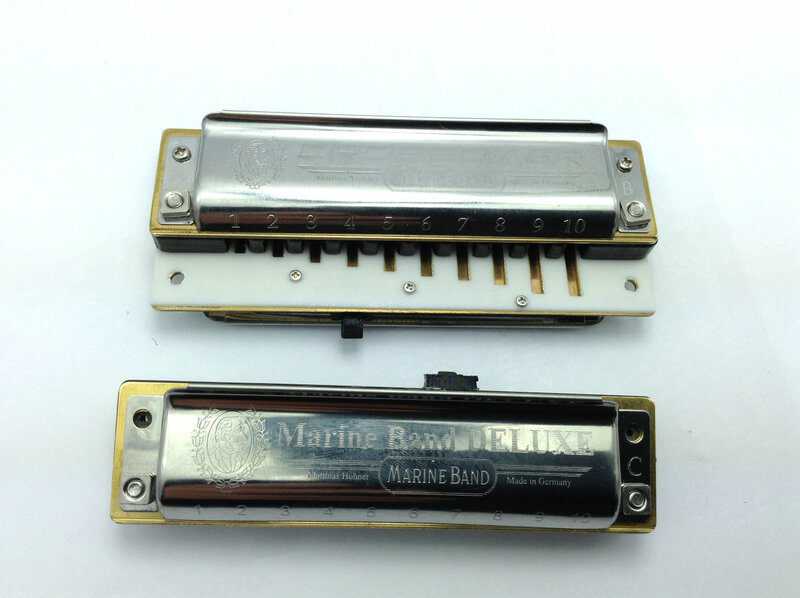 The initial development of the SlipSlider was to fit the excellent Hohner Marine Band Deluxe and Crossover harps. 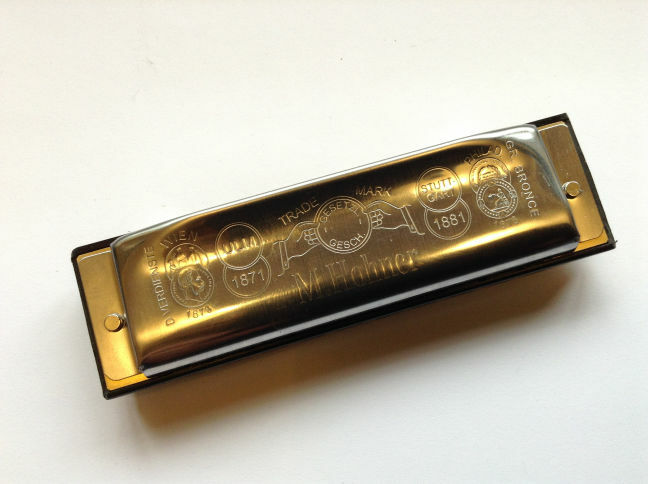 All the design and testing work was done for the Hohner version, and they feature on the first videos. As you can hear from them, the Hohner harps come out sounding very good in SlipSlider format, even without any reed gapping or slot embossing. When those refinements are added they sound very close to customised standard Hohners, with enhanced overblow performance as well as all the fantastic extra bending expression the SlipSlider gives. 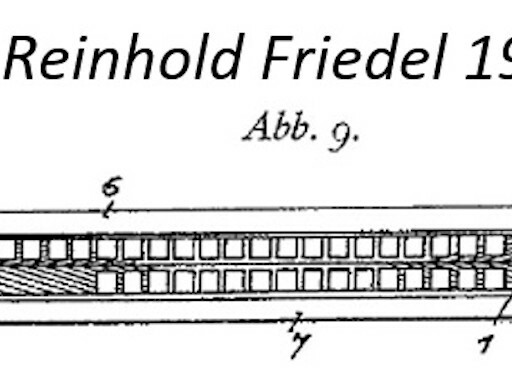 Right-Shift of Drawplate - Gives new blow bends in the bottom two octaves, top octave stays the same. 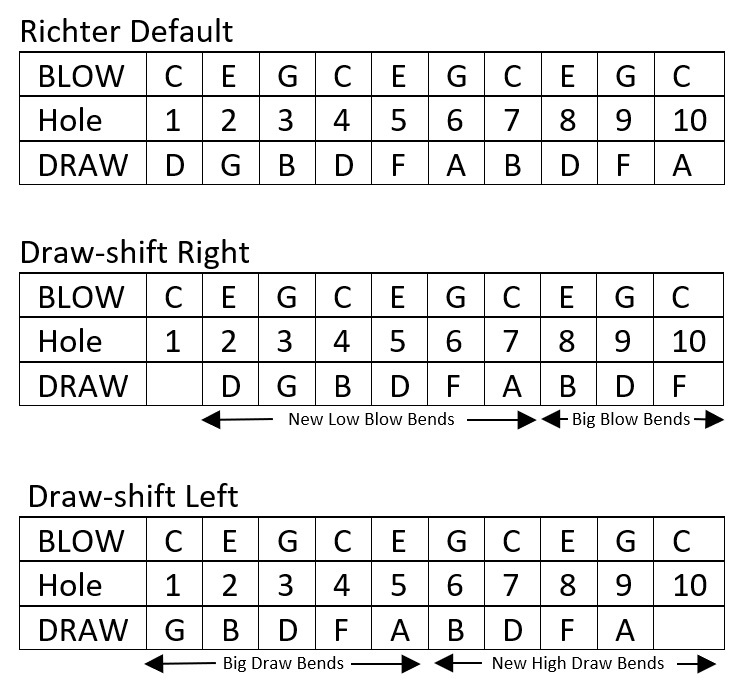 Left-Shift of Drawplate - Gives new draw bends in the top octave, lower two octaves stay the same. Check out the videos to hear it in action. The essential new bending ability is the same as the current SlipSlider Mk2, but it adds even more new bends!